The Trump administration came away with a partial victory in an unsigned Supreme Court opinion involving an abortion obtained by a teenaged illegal immigrant held in U.S. custody. A federal appeals court had ruled that the U.S. government could not block an illegal immigrant in government custody from having an abortion. Before the U.S. government could appeal this decision, the immigrant obtained the abortion. U.S. Solicitor General Noel Francisco asked for the appeals court’s decision to be vacated—wiped away—and asked that the immigrant’s attorneys be disciplined for misleading the U.S. government about the timing of the abortion. 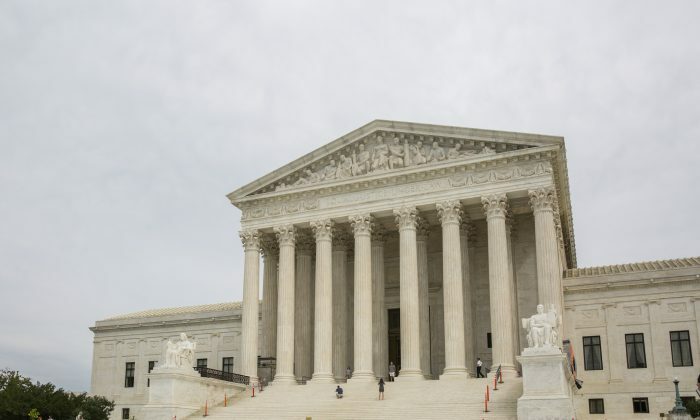 The abortion obtained by the immigrant rendered moot the issue in the federal appeal, which provided the grounds offered by the Supreme Court for vacating the lower court’s decision. The Supreme Court decision leaves untouched the issue of whether illegal immigrants in government custody have the right to obtain an abortion using private funds. A statement issued by a Department of Justice spokesperson after the ruling said: “We are pleased with the Supreme Court’s decision to set aside a lower court decision that allowed for an unaccompanied minor to receive an abortion while in federal custody. Francisco claimed the immigrant’s lawyers misled the government’s lawyers about the timing of the abortion, saying it was scheduled for Oct. 26. The government lawyers informed the immigrant’s lawyers that they intended to appeal the appeals court’s decision on Oct. 25. Early on the morning of Oct. 25, the abortion was performed.